Now is the time to relive the selfie fire in you, and what better reason to do this than for the super amazing Tecno Phantom Z ongoing promo? Its easy; take a selfie, post it and win stuff from Tecno Mobile. Why not join the trend and express your creative sides using your front camera and WIN BIG in the #TecnoCamContest promo, after this offer was designed for you. 2. 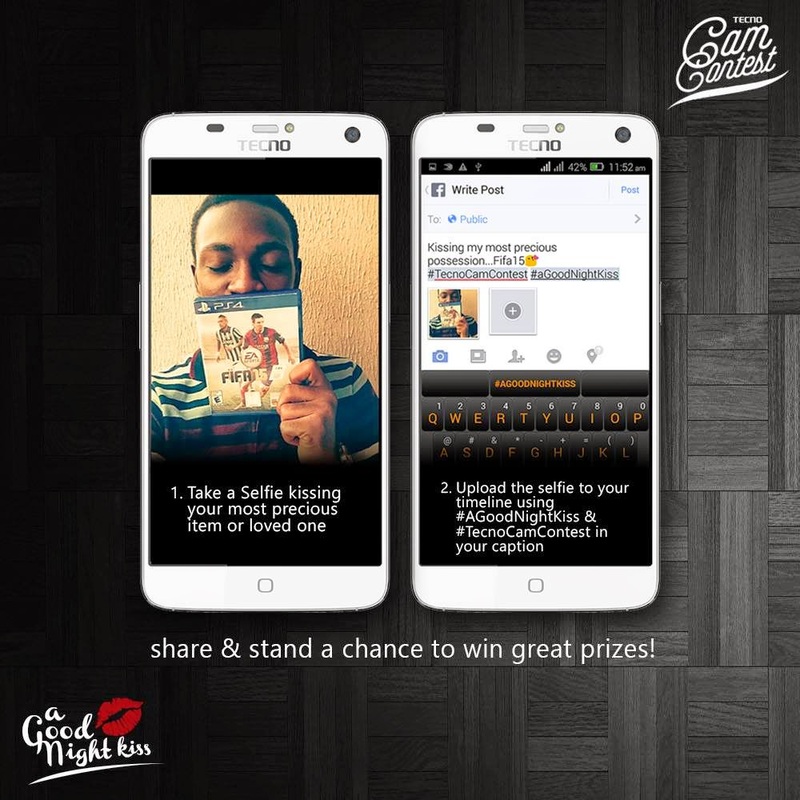 Upload the selfie to your timeline, tagging Tecno Mobile Nigeria using #AGoodNightKiss and #TecnoCamContest or #Groupfie and #TecnoCamContest in your caption. 3. Share your activity with your friends. 4. WIN BIG! That fourth part though, don’t you just love the sound of it? We bet you do. Get on the level and win something nice from Tecno Mobile.